Heathrow to Paddington Station Taxi – Book Heathrow to Paddington station taxi, To/From Heathrow to Paddington station taxi & Get 10 % Off! : London Paddington or Paddington railway station is a railway terminus located in Central London. It is also a major London Underground complex. This is a historic site, being used as Great Western Railway’s London terminus since 1838. The mainline station was constructed in 1854 and has preserved pretty much of its original architecture and style. The design was signed by Isambard Kingdom Brunel. The Underground trains served the site for the first time in 1863. It was Metropolitan Railway’s western terminus, as well as the first underground railway in the world. Recently, the Paddington Station was modernized. Currently, it is also the London terminus for the Heathrow Express service used by the London Heathrow Airport. The station is included in fare Zone 1 and it serves destinations such as Hereford, Reading, Worcester, Bristol, Cheltenham, Cardiff, Penzance, Swansea, Plymouth, Oxford, Exeter, Taunton and Newbury. Paddington also represents the terminus for many other outer and inner suburban services. 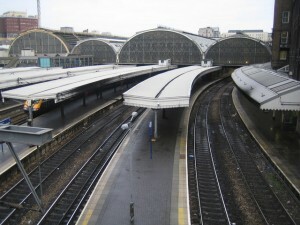 Paddington Station is surrounded by Bishop’s Bridge Road, the Praed Street, the Grand Union Canal and the Eastbourne Terrace. In order to get rail transport from London Heathrow Airport to London Paddington Station, you have to take the Heathrow Express till London Paddington and then you must walk to London Paddington Station. There are also other transfer options such as using a taxi service from London Heathrow Airport to London Paddington Station. So as to travel by car from London Heathrow Airport to London Paddington Station, you must use the M4 motorway. London Heathrow Airport is 17 miles away from London Paddington Station. A journey by taxi from London Heathrow Airport to London Paddington Station with 247 Heathrow Airport Transfer is going to last around 1 hour. The price of a taxi service from London Heathrow Airport to London Paddington Station starts from 35 GBP. London has a long and beautiful history with taxies. We all know the black cabs to be one of the most recognizable symbols of this capital. Now, there is a much more diversified offer and tourist alongside residence have the opportunity to choose the service that best fits their needs and desires. Our Heathrow to Paddington station taxi services are designed to make your experience as pleasant and easy as possible. We do this mainly by instructing our personnel to always be ready to respond to our customers needs, by creating an application that is user friendly so as intuitive as possible, by expanding and always monitoring our fleet, by choosing the most professional drivers to work with. As we are interested in providing the best service possible, we monitor all the flights. This allows the driver to know in real time if the flight has any delays or if it will arrive earlier. Also, our Heathrow to Paddington station taxi services gives its customers the chance to select the desired minutes after landing. Our operators can advise what would be the recommended amount of minutes but the final decision stands in your hands. Beside this, we also offer thirty minutes of free waiting time after the selected minutes after landing are over. This gives the clients a very fair amount of time to claim their luggage, clear the customs and meet with our driver. At the meeting point, the driver will make sure to have the name board so that you can recognize fast and easy. By choosing our Heathrow to Paddington station taxi services, you become part of our company`s history. Therefore, we are very interested in knowing your experience with us. Do not hesitate to send us your feedback either by e-mail, on Trip Advisor, on our Facebook page or on any other social media outlet. Your opinion can affect us in one of the following ways: either by bringing aware that we are on the right track or by giving us an insight on the aspects that we have to focus more in the future.